With the MSR PocketRocket 2 gas stove, you'll be perfectly equipped for your next trekking or climbing tour! The stove is extremely powerful and very stable for a screw-on gas stove. The pack size is so small that you'll be able to pack it in backpack. What's more, the stove is so easy to use and allows for precise flame adjustments. The pot holder is constructed so that you can use pots of different sizes. Plus, it comes with a tough, hardshell carrying case for travel. Thus, the stove is perfect for an array of outdoor adventures that require you to go light but don't allow you to sacrifice reliability. 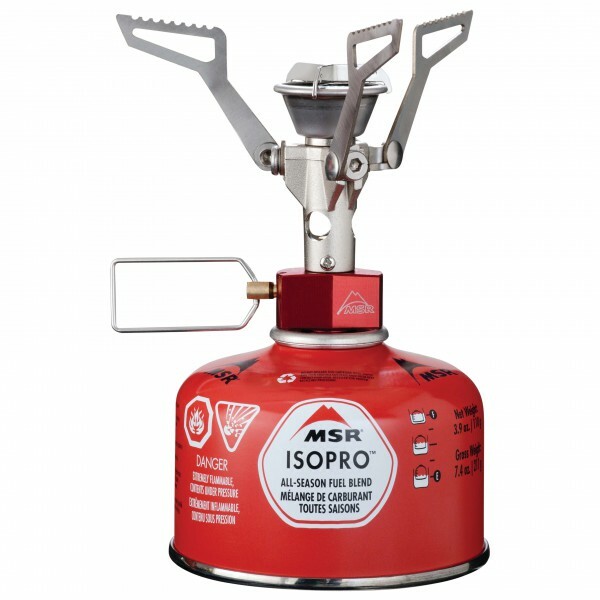 I bought this stove to replace Robens midge stove titanium because I was tired of problems with gas canisters that couldn't screw. The MSR pocket rocket 2 turn out to be very lightweight, powerful and easy to use.